Thangaraj, S., S. Bragadeeswaran and M.M. Raj, 2011. In vitro antioxidant activity of three edible seaweeds from Hare Island, Tuticorin coast of India. Proceeding of the National Symposium on Emerging Trends in Biotechnology, September 2011, Department of Biotechnology, Cochin University of Science and Technology, Cochin, -. Thangaraj, S. and S. Bragadeeswaran, 2011. Screening on biomedical and pharmacological activity of sea anemones venom Stichodactyla mertensii and S.gigantea from Gulf of Mannar Biosphere, Southeast coast of India. Proceeding of the National Conference on Marine Biodiversity-Present Status and Prospects (MABPSAP-2010), September 16-18th 2010, Department of Marine Science, Bharathidasan University, Thiruchirapalli, -. Thangaraj, S. and S. Bragadeeswaran, 2011. Fatty acid profile of two sea anemones Stichodactyla haddoni and Stichodactyla gigantea from southeast coast of tamil nadu, India. Proceeding of the National conference on Aquatic Biotoxins (NCABT-2011), CAS in Marine Biology, September 14 to 16th 2011, Faculty of Marine Sciences, Annamalai University, Parangipettai, -. Thangaraj, S. and S. Bragadeeswaran, 2011. Antimicrobial property of sea anemone Stichodactyla mertensii and Stichodactyla gigantea from Mandapam coast of India. Proceeding of the National Conference on Exploration of the Natural Bioactive Compounds from the Marine Resources (Bioactiva 2011), September 16-18th 2011, Department of Marine Science, Bharathidasan University, Thiruchirapalli, -. Suganthi, K., S. Bragadeeswaran, N.S. Kumaran, S. Thangaraj and T. Balasubramanian et al., 2011. Biological and pharmacological activities of jelly fish Crambionella stuhalmanni (Chun, 1896) and Chrysaora quinquecirrha (Desor, 1848). Int. J. Pharm. Pharm. Sci., 3: 230-236. Suganthi, K., S. Bragadeeswaran and S. Thangaraj, 2011. Amino acid content of the nematocyst venom of jelly fish Chrysaora quinquecirrha. Proceeding of the National conference on Aquatic Biotoxins (NCABT-2011) held at CAS in Marine Biology, September 14 to 16th 2011, Faculty of Marine Sciences, Annamalai University, Parangipettai, -. Sri Kumaran, N., S. Bragadeeswaran and S. Thangaraj, 2011. Antimicrobial activities in star fishes Protoreaster lincki (Blainville, 1830) and Pentaceraster regulus (Muller and Troschel, 1842) against isolated human, fish pathogenic and biofilm microorganisms. J. Applied Sci. Res., 7: 818-825. Bragadeeswaran, S., S. Thangaraj, T.S. Devi, N.S. Kumaran and K. Suganthi et al., 2011. Antimicrobial and analgesic activity of crab egg mass Charibdis natator (Herbst, 1789) from Parangipettai, Southeast coast of India. Proceeding of the National conference on Aquatic Biotoxins (NCABT-2011) CAS in Marine Biology, September 14 to 16th 2011, Faculty of Marine Sciences, Annamalai University, Parangipettai, -. Bragadeeswaran, S. and S. Thangaraj, 2011. Hemolytic and antibacterial studies on skin mucus of eel fish, Anguilla anguilla Linnaues, 1758. Asian J. Biol. Sci., 4: 272-276. Bragadeeswaran, S., S. Thangaraj, K. Prabhu and S. Sophia Rani, 2010. Antifouling activity by sea anemone (Heteractis magnifica and H. aurora) extracts against marine biofilm bacteria. Latin Am. J. Aquat. Res., 39: 385-389. Bragadeeswaran, S., K. Prabhu, S. Thangaraj, K. Ganesan and S.S. Rani et al., 2010. Antifouling activity of Seaweed extracts from Cladophora clavuligera (Kutzing, 1843) and Sargassum wightii Greville against marine fouling bacteria. Indian J. Geo-Mar. Sci., 40: 398-402. Bragadeeswaran, S., K. Ganesan, N.S. Kumaran, S. Thangaraj and K. Suganthi et al., 2010. Antibacterial and Cytotoxic Activities of Ascidians Polyclinum madrasensis Sebestian, 1952 and Phallusia nigra Savigny, 1816 from tuticorin coast of India. World Appl. Sci. J., 9: 1387-1391. 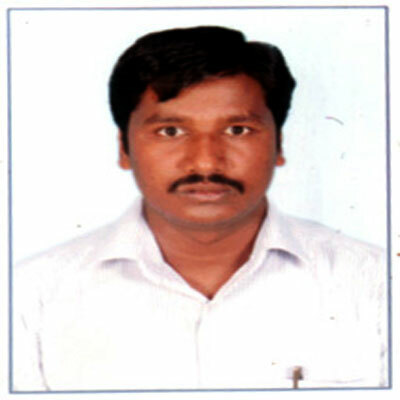 Abdul Rahman, M.S., S. Thangaraj, S.M. Salique, K.F. Khan and S.E. Natheer, 2010. Antimicrobial and biochemical analysis of some spices extract against food spoilage pathogens. Int. J. Food Saf., 12: 71-75. Bragadeeswaran, S., S.S. Rani, K. Ganesan, K. Prabhu and S. Thangaraj et al., 2009. Experimental studies on adhesion experimental studies on adhesion of microalgae on different test panels. Proceeding of the International Conference on Algal Biomass, Resources and Utilization, July 27-30 2009, Krishnasamy Institute of Algology, Chennai, -. Bragadeeswaran, S., S. Thangaraj, B. Ilayaraja and S.S. Rani, 2009. Biotoxinological studies on sea anemone Stichodactyla haddoni from Mandapam coast. Proceeding of the National Symposium on Current Trends in Marine Sciences and Technology, January 22 to 24th 2009, Madras Christian College, Chennai, -.